6.1???? Notice of Rescission - Rescission Motion ? Valla Quarry Compliance With Consent Conditions (SF1431)....................................................................................................................................... 7 ? 8.1???? Outstanding Actions and Reports...................................................................................... 9 ?? 12.4?? Capital Works Report - 1 April - 30 June 2013................................................................... 72 ???? AUTHOR/ENQUIRIES:??? Bob Morrison, Councillor ???????? That Council write to the NSW Small Business Commissioner requesting that this Council be included in the Pilot Program for councils to support small business. That Council write to the NSW Small Business Commissioner, Yasmin King, and ask her if we too can be included in the 12 months forthcoming Pilot Program which would provide a suitable example of a small North Coast Council with a pristine environment, attractive rivers with great tourist and retirement potential. Four New South Wales councils have been selected to take part in a 12-month pilot program to encourage councils to be more small business friendly ? a program Local Government Minister, Don Page, hopes will be rolled out to all councils. The plan, described as the first of its kind in Australia, is designed to give councils the opportunity to be formally recognised as small business friendly. Parramatta is the city council selected, while Lismore, Boorowa Shire Council and Tenterfield Shire Council will represent rural and regional councils in the pilot program. ?????? provide a tiered recognition system for councils to recognise efforts in engaging with the small business community. ?Small businesses are the engine room of the NSW economy and it?s important to recognise local councils? efforts to engage with this vital sector,?? Mr Page said. ?Small business friendly councils can help grow employment in their area.? NSW Small Business Commissioner, Yasmin King, said her office was proud to have been instrumental in getting the initiative off the ground.? ?This program provides a real opportunity to improve relations between small business and councils, and make it easier for small business owners to concentrate on making their businesses thrive.?? I have been asked on several occasions what happens to surplus materials and small equipment that is replaced or upgraded at Council?s Works Depot. It is my understanding that some of these items are sold so in the interest of transparency and gaining a true market price, a public auction should be considered. That Council receive a report on the possibility of conducting a public auction to dispose of surplus material and small equipment at Council?s Works depot. AUTHOR/ENQUIRIES:??? Paula Flack, Councillor ???????? 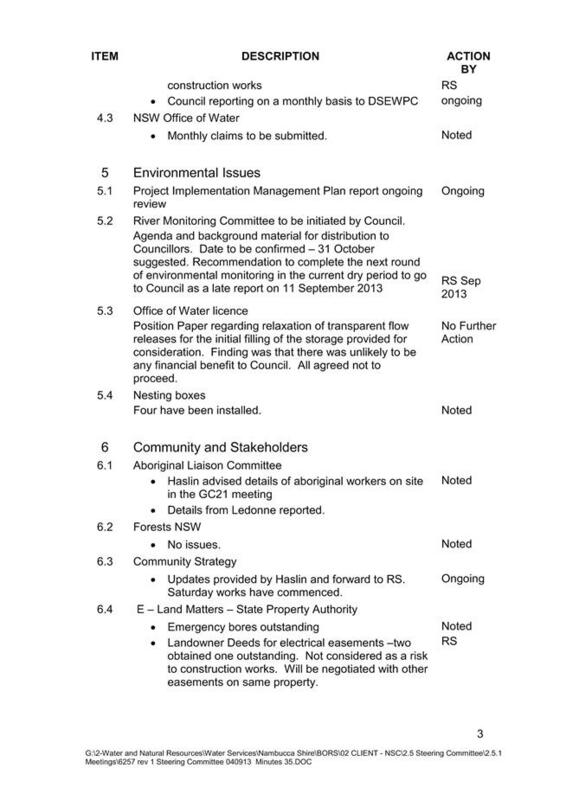 Council?s resolution 40/31 made in closed meeting on 11 September 2013, regarding the Valla Quarry does not address the core issue of non-compliance with Condition 12 which limits annual extraction to 50,000m3 annually. Councillors will have read the previous two confidential reports regarding this matter and so be aware of the issues relating to extraction volumes at the quarry and previous correspondence from as early as January this year, between Council and the Quarry operator regarding this. Council is the responsible authority for ensuring compliance with consent conditions which were applied as part of the Land and Environment Court approval. Council should act in a decisive and timely manner to ensure compliance with development consent conditions.? However in light Council?s significant conflict of interest as a purchaser of Valla Quarry products, it is even more imperative that it does so.? This is one of the reasons cited by the General Manager in earlier reports, for proceeding directly to the Court to seek orders under Class 4. It is also vital that Council proceeds with this matter in an open and transparent a way as possible. Councillors have been aware of this matter since 29 August 2013, when it was presented in closed meeting and resolved that a further report come to Council.? As a result of this decision no action was taken regarding the alleged breaches of consent condition 12, pending presentation of the report at Council?s next meeting.? At the 11 September meeting, Council?s resolution once again did not address the immediate issue of compliance. Whilst an onsite inspection may be of use to councillors in understanding the current operations at the quarry and the various impacts to nearby residents in terms of the current and possible future operation of the quarry, it fails to address the most pressing issue of compliance and the fact that Council has had knowledge of alleged over extraction since January. Allowing 28 days to lodge an application to modify the development consent to address the matter of significantly increased extraction rates is unrealistic given the likely need for various impact assessments.? It may be ultra vires given that it effectively requires lodgement a modification application to avoid legal action and does not allow for the possibility that a new development application will be required.? It also falls far short of meeting Councils obligations as the enforcement agency in this case. Mrs Davies, who spoke under delegation at the 11 September meeting, stated that the increased volume for truck movements continues.? This is in spite of Council?s correspondence.? Council must act to require compliance and do so sooner rather than later.? The quarry operators have had sufficient notice. That Council rescind point 2 of Motion 41/13 namely: that Council provide the quarry operators with 28 days to lodge an application to modify the development consent or otherwise Council will undertake legal action. That Council urgently seek Class 4 orders in the Land and Environment Court to limit the operations at the Valla Quarry to 50,000m3 (in situ) per annum being the requirement of Condition 12 of the development consent and such other orders as the Court deems appropriate. 4??????? such other orders that the Court deems fit. That Council advise the NSW Environmental Protection Agency of its proposed action and invite them to be party to the proceedings. Council staff to report on carbon emissions for Council activities to a meeting in October 2013. Staff investigating whether letters have been sent.? No evidence letters were sent.? GM sent letter to the Minister, the Hon. Duncan Gay on 10 September 2013. Request sent to Andrew Stoner?s office on 12/7/2013.? Media release issued on 12/7/2013.? Stat. dec. forms circulated.? Reminder letter sent 13 September 2013. Will be reported in October 2013. Deferred to 26 September 2013. Council write to the RMS requesting reinstatement of the 60kph zone on Rodeo Drive travelling east from Bowraville after the Valla Road turnoff? where the ?s? bends are. Council write to the RFS seeking confirmation that training for volunteers will continue at the same level at NEOC & ask if there is going to be any reduction in training opportunities at brigade sheds.? Further, that Council seek advice on what will the RFS? future requirements be for NEOC. Council make enquiries as to whether the sewerage connection to the Golf Club across the causeway has been inspected or upgraded as it was observed to be in poor condition. Water main and has been inspected and replaced as necessary. A report come to Council on the Better Boating funding program regarding the proposed jetty on Stuart Island with details about the design, REF, any required maintenance dredging, environmental impacts. That a report come back to Council regarding companion animal management & options to improve animal welfare and housing and possible options to improve Council?s performance including the consideration of initiatives by other councils. Council undertake a community awareness program on plans to apply for a SRV of up to 3% for up to 4 years from 2014/15.? The review of the LTFP include & exclude SRV options.? Alternative scenarios to a rate rise, such as borrowings and LIRS be also considered in the LTFP.? Other rate increase options to be considered including an increase of 3% for one year only. Work plan completed.? Next target is to have Asset Management Plans completed by 27 September 2013. That half yearly progress reports be submitted to Council on the Customer and Business Services Unit in February and August. That in future reports Council receive details of the number and value of the construction certificates issued. An on-site inspection of DA2013/057 occur prior to the determination of the application by Council. Dye test undertaken and no impact on 8 Creek Street identified.? Further investigations for other properties is required. That Council inspect the (Valla) quarry & the location of houses in relation to the quarry prior to making any decision.? That Council provide the quarry operators with 28 days to lodge an application to modify the development consent, otherwise Council will take legal action. Rescission motion lodged.? Action on hold. 1??????? That the election of a Deputy Mayor proceed by ordinary (secret) ballot if a ballot is required. 2??????? That nominations be invited and received by the General Manager as returning Officer for the election of Deputy Mayor. 3??????? That the election of Deputy Mayor proceeds. 4??????? That following the election, the Mayor declares Cr? ?.elected as Deputy Mayor for the term of office expiring September 2014. 5??????? The Division of Local Government be advised of the outcome of the election and Council?s website be updated. Whilst a nomination form is included in this report, I appreciate that Councillors may not be able to print same.? For this reason I will have printed copies of the form available before the Council meeting.? I have also put a printed copy of the form in Councillor pigeon holes. ?????? Where there are only two candidates, the candidate with the highest number of votes is elected, and if they are tied the one to be elected is the one chosen by lot. ?????? Where there are three or more candidates, the one with the lowest number of votes is excluded. ?????? If three or more candidates then remain, a further vote is taken and the one with the lowest number of votes from that further vote is excluded. ?????? If after that three or more candidates still remain the procedure is to be repeated until only two candidates remain. Where there are only two candidates (remaining) with equal votes the one elected is the one chosen by lot.? By contrast, where there are three or more candidates and some are tied for lowest, the one excluded is the one chosen by lot. The ballot papers are to contain the names of all the candidates.? The Councillors are to mark their votes by placing the numbers ?1?, ?2?, and so on against the various names to indicate their order of preference for all the candidates. If a candidate has an absolute majority of first preference votes, the candidate is elected.? If not the candidate with the lowest number of first preference votes is excluded and the votes on the unexhausted ballot papers counted to him or her are transferred to the candidates with second preferences on those ballot papers.? A candidate who then has an absolute majority of votes is elected, but if no candidate then has an absolute majority of votes, the process is repeated until one candidate has received an absolute majority of votes. For tied candidates, if there are 2 candidates and the numbers of votes cast for each are equal, the candidate whose name is first chosen by lot is taken to be elected.? If there are 3 or more candidates remaining in the election and the numbers of votes cast for 2 or more candidates are equal and those candidates are the ones with the lowest number of votes, then the candidate whose name is first chosen by lot is taken to have the lowest number of votes and is excluded. It is recommended that Council adopt an organisation structure comprising two Assistant General Managers as shown in the attachment. That Council adopt the organisation structure shown in the draft organisation structure chart. Council can appoint a third Assistant General Manager by making an appointment from the applications it has already received or through readvertising.? If the Council elects to appoint a third Assistant General the selection panel would meet to determine whether to make an appointment from the short list of candidates who were interviewed or whether the position should be readvertised. At Council?s meeting on 14 August it was resolved that an appointment to the position of Assistant General Manager Development, Environment and Community Services be deferred pending a further report to Council on the management of the section. Interviews for the position of Assistant General Manager Development, Environment and Community Services were conducted on 27 July 2013.? The selection panel comprised the Mayor, Deputy Mayor, General Manager and Manager Human Resources with Mr Robert Ball from Blackadder Associates (and the recently retired General Manager of Hornsby Shire Council) acting as facilitator. In relation to the position, an offer was not made essentially because of concern amongst Panel members that there may not be a good fit between the preferred candidate; the remuneration package and the significant operational (as opposed to management) workload of the position.? In other words the Panel queried whether the position title, description and remuneration package was a good fit with the day to day operational responsibilities of the position. To clarify, the position of Assistant General Manager Development, Environment and Community Services would replace the position of Manager Applications and Compliance.? Mr Paul Guy currently occupies this position on a temporary fixed term basis.? There was concern that an appointment may necessitate the employment of an additional staff member to pick up the expected operational workload.? This may mean the expenditure of an additional $80,000 on top of the $46,000 difference in remuneration between the existing Manager?s position and an Assistant General Manager. Essentially the issue is how best to balance the Council?s available resources.? In the context of the Council?s designation as being ?weak? in terms of financial sustainability with a ?negative? outlook (TCorp), the Panel believes that staffing costs, particularly for the more costly management staff, have to be closely scrutinised.? Additional annual recurrent costs of $46,000 (for the AGM) or $126,000 (for the AGM plus an additional staff member) are quite significant being equivalent to a rate increase of approximately 0.5% to 1.5%. Whilst the costs are significant there are also potential service level implications in changing a Council?s organisation structure at the management level.? The significance of a change to service levels depends on many factors including the adequacy and competency of the staff as well as the Council?s existing systems.? At Nambucca Shire Council another relevant factor is that the Council has already made a major and sustained investment in strategic land use and natural resource planning over many years. There will be different perspectives on the costs and benefits of changes to the organisation structure from the stakeholders who include council staff, councillors, unions, government departments, business as well as residents and ratepayers. The preferred option for Council?s organisation structure remains as previously reported being a General Manager and two Assistant General Managers.? Responsibility for development, environment and community services would be transferred to the General Manager.? Previous benchmarking of small to medium sized councils indicates that a structure of two Assistant General Managers is common place.? This structure was most recently introduced at Bellingen Shire Council.? The General Manager?s span of control has been reduced by removing the Grants and Contributions Officer as well as the Strategic Planner as direct reports and in place of that the Manager Development and Environment and Manager Community and Cultural Services would report to the General Manager. The recommended structure is shown in the attached organisation chart. 5?????? Any future appointment of a General Manager would be restricted and only a narrow field of applicants would be equipped to replace the current General Manager?s planning skills. The Consultative Committee comment concerning cost refers to the structure prior to the appointment of the Assistant General Manager Corporate Services.? At this time there was a saving from not appointing a Revenue Accountant and appointing a Finance Assistant instead.? The baseline has now changed and the cost difference is $46,000, ie the difference in remuneration between the Assistant General Manager and the Manager Applications and Compliance. In relation to the comments about the structure and a change in General Manager, there can be a transfer of responsibilities between the two Assistant General Managers and General Manager.? The Senior Staff contracts provide that such agreement cannot be unreasonably withheld.? For example at Bellingen Shire Council, the Deputy General Manager Operations who is responsible for all engineering matters is also responsible for planning and building regulation.? Their Deputy General Manager Corporate and Community besides being responsible for all of the Council?s finances and governance is also responsible for sustainability and natural resources as well as community well-being.? Depending upon the skill set of the incumbents there will be opportunity to adjust these functional responsibilities if there is a different General Manager. The report essentially concerns balancing the Council?s very limited staff resources to focus on the greatest risks to the governance of the organisation.? Given the available resources compromises do have to be made. The recommendation provides a saving of $46,000 per annum.? However if the recruitment of an Assistant General Manager was to mean that additional operational staff were required then the saving would be much greater. There was no provision made in the 2013/14 budget for a third Assistant General Manager.? If say an appointment was made and the successful candidate took up the position half way through the financial year, there would need to be a variation to working funds of approximately $23,000. The report discusses implications for service levels. AUTHOR/ENQUIRIES:??? Paul Guy, Manager Applications and Compliance Services ???????? Consideration is sought from council as to how long credits from a previous commercial development which has been demolished apply to a development site with other factors such as reason for demolition and duration of time before redevelopment takes place due to economy being taken into account. 1????????? That council recognise previous Section 64 & 94 payments already paid to the sum of $13,509 and $11,347 respectively and subtract from the total payments to be made for DA2012/108. 2??????? That council recognise credits for the old Max Motel (9x1 units & 1x3 bedroom caretakers cottage) which stood on this site of $86,458.71 (Sect 64) and $9171 (Sect 94). With respect to Item b) I have reviewed all previous Development applications for this site commencing from an initial proposal to carry out alterations and additions to the previous Max Motel and found a number of payments made for Section 64 and 94 contributions. These have been checked by Council?s accountant (an onerous task given that previous receipting did not capture DA number or surname of payer) and found to be non-refunded. The amount paid may be subtracted from present contributions. ??????????? 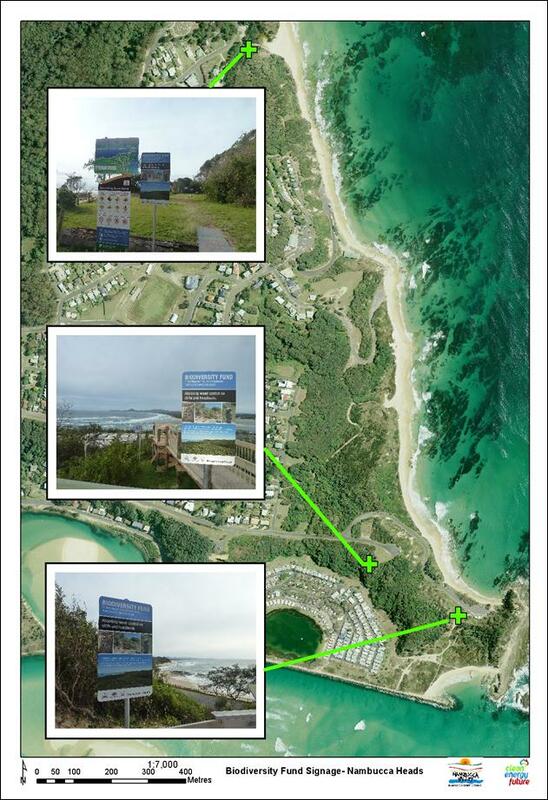 DA2003/003 was lodged proposing the demolition of 2 dwellings and the existing Max Motel (9x1bedroom & 1x3 bedroom) and the construction of a 6 unit Tourist accommodation (Ocean View apartments) to replace the 2 dwellings and a 27 unit motel to replace the Max. A. The consent ended up being modified to carry out the demolition and erection of the 6 bedroom apartments which was carried out in 2003. ??????????? A major real estate boom in or around 2004 saw plans for the 27 unit motel be transformed into a residential flat building which was approved by council and excavation works carried out however the boom was short-lived and redevelopment of the site has not taken place. ??????????? The site has been vacant for just on 10 years. ??????????? Credits for Section 64 amount to $86,458.71 out of required amount of $290,984.22 (2013/14 Fees & charges). ??????????? Credits for Section 94 amount to $9171 out of required amount $30,472.88. The decision to apply the credits is ethical but the question remains ? at what point is a site considered to be a ?Greenfield site?? ie at what point is it considered as an undeveloped site? when it carried a previous development if at all? AUTHOR/ENQUIRIES:??? Monika Schuhmacher, Executive Assistant/Business Services Unit ???????? The report acknowledges the Minutes of the Annual General Meeting of the Warrell Creek Hall Committee of Management and the new Committee.? 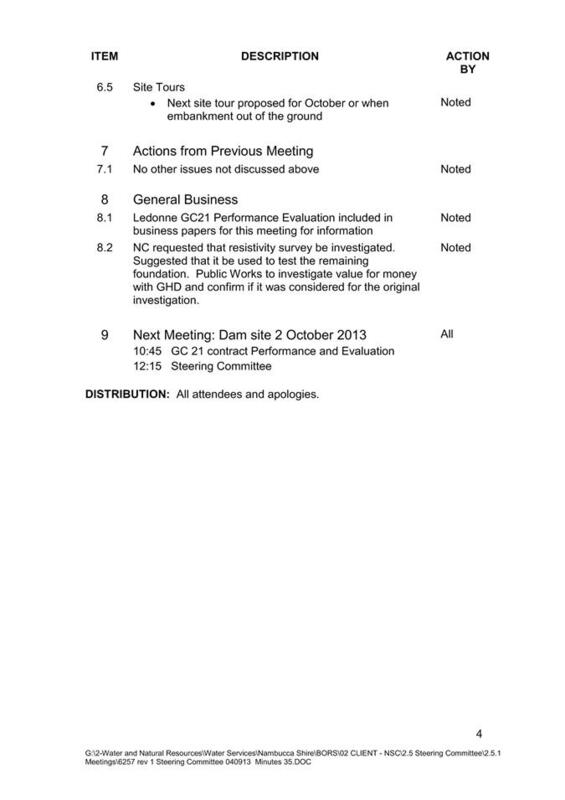 Copies of the Minutes of this meeting, held on 4 September 2013, and the Financial Statement are attached. That Council endorse the Minutes of the Committee of Management for the Warrell Creek Hall?s Annual General Meeting held on 4 September 2013 and thank the outgoing Committee for their work in the past twelve months. The Annual General Meeting of the Warrell Creek Hall?s Committee of Management was held on Wednesday 4 September 2013. There are not changes to service levels nor are there any resourcing/staff implications. AUTHOR/ENQUIRIES:??? Colleen Henry, Grants and Contributions Officer ???????? This report provides information to Council regarding Item 9.7 Grant Application Status Report of 11 September 2013 meeting, as resolved by Council. That Council note the information provided. In the Grant Application Status Report considered at Council?s 11 September 2013 meeting, there was a report of a Better Boating Program grant application made for a Stuart Island jetty and amenities building. The report should have used the term ?pontoon? which will be a floating structure, put in place after the existing old wooden jetty is removed. As with all such projects, Council will go through the Review of Environmental Factors as required under law at the time when it is known that we have the funding. There has not been any dredging done at this site under the existing arrangement and it is not intended to do any dredging in relation to this new project, if the grant application is successful. Informal advice was sought from Office of Environment and Heritage?s John Schmidt regarding environmental impacts generally with the installation of the pontoon and he said that he was satisfied that any impacts would be quite minor due to the location of the pontoon and the installation process. In relation to the $20,000 from the Environmental Levy for the Macksville CBD economic strategy, this is the same $20,000 that has been allocated to Streetscape Improvement Plan, currently underway. It is not an additional amount it is simply using an existing allocation, previously approved by Council, to leverage funding from a different source. Council was successful in its application to the NSW State Government for a 3% loan subsidy under the NSW Local Infrastructure Renewal Scheme. Council will secure a loan of $1,455,000 through a standard tender process to carry out works on bridges and conduct bitumen resealing, and receive a subsidy $237,062 over the period of the loan. The LIRS 2 Funding Agreement requires the Council seal be affixed. This resolution will enable the agreement paperwork to be submitted. That Council resolve to attach its seal to the NSW Local Infrastructure Renewal Scheme Application ? Round Two ? LIRS funding agreement so that the funding agreement can come into effect. There are no options. If the Council does not resolve to affix the seal the funding agreement will not be able to be lodged. This item does not require additional information. The community will benefit from the improved infrastructure which will be supported by this agreement. The Council will gain significant economic advantage with the acceptance of the funding agreement. The funding agreement clearly sets out requirements in relation to the agreement, therefore the risk is low. The loan has been incorporated into current and future budgets. AUTHOR/ENQUIRIES:??? Faye Hawthorne, Accountant ???????? Council is required to make declarations under Section 413(2) (C) of the Local Government Act, Local Government Code of Accounting Practice and Financial reporting as per the following recommendations and detailed in the discussion. Council?s financial reports must include a statement in approved form as set out in Sect. 215 of the Local Government (General) Regulation as to its opinion on the general purpose special purpose financial reports. The declarations are required under the Local Government Act and Local Government Code of Accounting Practice and Financial Reporting and therefore needed in order for the audit to be commenced. 1??????? That the Mayor, one other Councillor to be nominated, the General Manager and Responsible Accounting Officer be authorised to sign the Statement on the General Purpose Financial Reports by Councillors and Management made pursuant to Section 413(2) (C) of the Local Government Act. 2??????? That the Mayor, one other Councillor to be nominated, the General Manager and Responsible Accounting Officer be authorised to sign the Statement on the Special Purpose Financial Reports by Councillors and Management made pursuant to the Local Government Code of Accounting Practice and Financial Reporting. The audit is scheduled to occur from 8 ? 10 October and it is expected it will be completed to allow the audited Statements to be provided to the Department before the 31 October 2013 and presented to the Public prior to the end of November 2013. A further report of the results for 2012/2013 will be presented to Council prior to presentation to the public. ?????????????? Accords with Council?s accounting and other records. The Statement must be made by resolution of Council and be signed by the Mayor, at least one other Councillor, the Responsible Accounting Officer and the General Manager. The Statement has to be completed and attached to the relevant annual financial reports to the audit process can continue. ???????? NSW Government Policy Statement ?Application of National Competition Policy to Local Government? ???????? The Division of Local Government Guidelines ?Pricing & Costing for Council Businesses - A Guide to Competitive Neutrality?. ???????? The Local Government Code of Accounting Practice and Financial Reporting. ???????? The NSW Office of Water (Department of Environment, Climate Change and Water) Guidelines ? ?Best Practice Management of Water and Sewerage?. The figures show an 13.58% Increase in the number of DA?s received to end August 2013 with construction costs increasing by 52.25% compared to the same period in 2012. The total number of DA?s/CD?s approved for the month of August 2013 was 26 plus 3 modifications. RFS have now issued conditions. AUTHOR/ENQUIRIES:??? Teresa Boorer, Business Services Officer ???????? The following is the Contract Regulatory Officer?s Report for August 2013. That the report from the Contract Regulatory Officer for August 2013 be received and noted by Council. AUTHOR/ENQUIRIES:??? Tim Woodward, Noxious Weeds Inspector ???????? 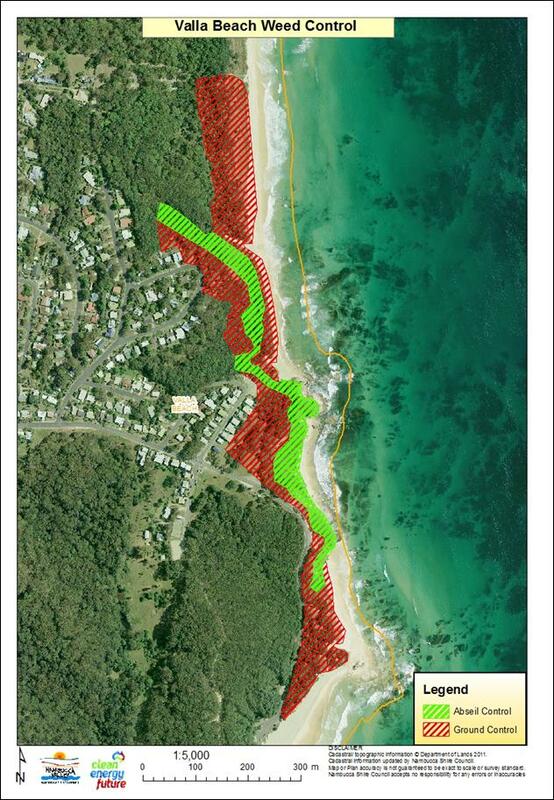 Council was successful in obtaining $455,000, from the Clean Energy Futures Biodiversity Fund, over 6 years to protect our unique coastal ecosystems from invasive plant species throughout 101 hectares of the Council managed coastal reserve system.? The purpose of this report is to inform Council of the progress of the project to date. That Council note the information provided in regards to the progress of the Biodiversity Fund Project that is protecting various coastal ecosystems including Ecological Endangered Communities and Threatened Species. There are no options for this report. Council?s Noxious Weed Officer has been coordinating the Biodiversity Fund Project throughout the Council managed or owned Council reserve system in the Nambucca Heads and Valla Beach areas. Various invasive plant species including the Weeds of National Significance, Bitou Bush, Lantana and Asparagus Species have been controlled in the coastal reserve system.? Other invasive plant species that have been targeted include Broad Leaf Pepper Trees, Glory Lily, Camphor Laurel, Ochna and Easter Senna. Now in its third year the project has provided the opportunity to treat invasive plant species within approximately 40 hectares of reserve. 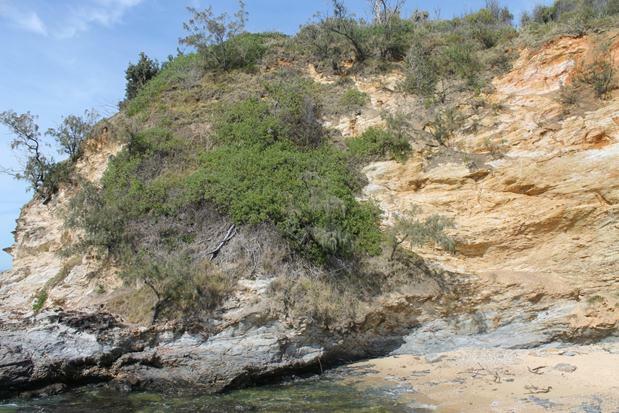 Various methods have been utilised including the engagement of highly skilled abseil weed controllers who have treated mature stands of weeds on cliffs and headlands in the Valla Beach and Nambucca Heads areas. Limited funding in the past has prevented these areas from being managed and as a result these areas were providing the weed seed source for the surrounding areas. 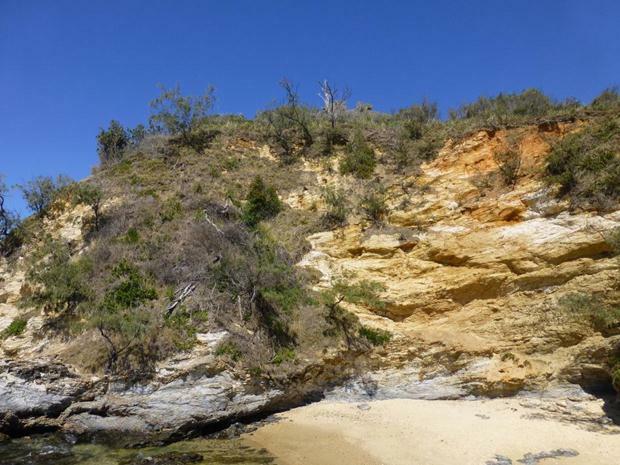 The project site contains Ecological Endangered Communities including Themeda grassland on sea cliffs and coastal headlands in the NSW North Coast, Littoral Rainforest and Swamp sclerophyll forest on coastal floodplains of the NSW North Coast. There is also a population of the Threatened Species, Scented Acronychia or Beach Acronychia (Acronychia littoralis) in the Swimming Creek, Nambucca Heads area of the project site. Exotic weed species are the greatest threat to these high value ecological communities and the removal of core infestations of weed species on the coastline, especially sea cliffs and headlands has enhanced the resilience of these areas. Throughout the life of the Biodiversity Fund project various stakeholders have been consulted including the local volunteer Dunecare Groups, the local Landcare Coordinator and adjoining land managers including representatives from the National Parks and Wildlife Service. Coastal ecosystems, including Ecological Endangered Communities are being protected and enhanced as a result of this externally funded project. 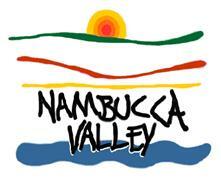 The natural assets of the Nambucca are one of the reasons many people chose to reside and visit the Nambucca Valley. Protection and enhancement of these natural ecosystems areas improves the aesthetics of the coastal reserve system for visitors and residents alike. There are no economic implications arising out of this presentation. There are no risks as a consequence of the presentation.? There are no changes to service levels or resource/staff implications. The Biodiversity fund project is in its third year and great results have been achieved to date. 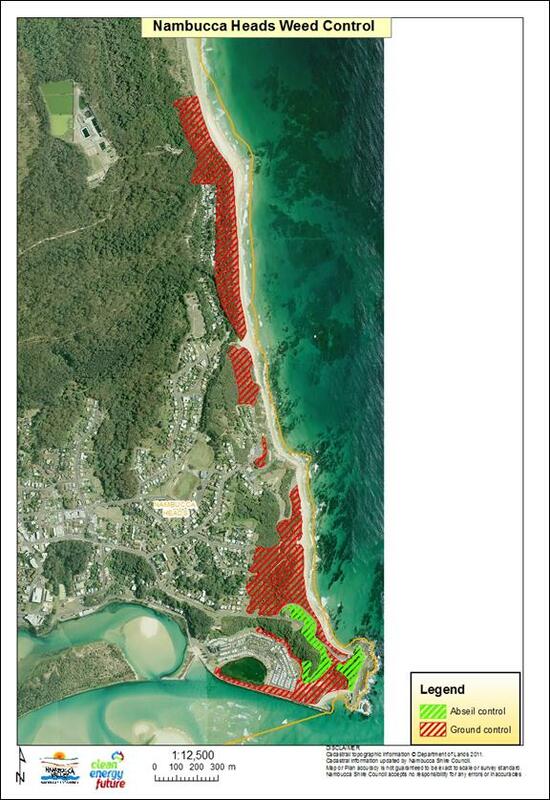 Federal government funding ($455,000 over six years) has provided the opportunity to treat high priority invasive weed species within the Council owned / managed coastal reserve system in the Nambucca Valley. 41 hectares of land has been treated to date, which is on track to meet the 101 hectares targeted for the life of the project. Funding constraints in the past have prevented mature stands of weed species on cliffs and headlands from being targeted for treatment, and have provided a seed source for surrounding areas. 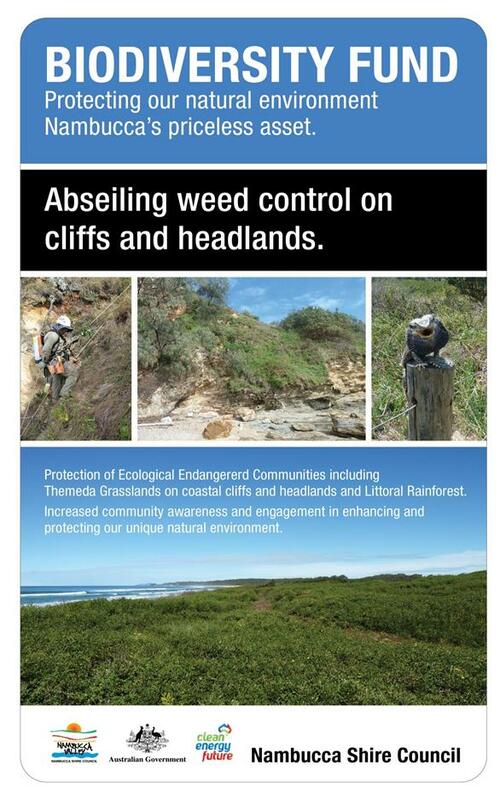 Biodiversity funding has allowed the engagement of highly skilled abseiling weed professionals to target weed species on coastal cliffs and headlands on the fringe of the Nambucca, that include various areas of high conservation value. To date approximately 6 hectares of land has been treated by abseilers in the Valla and Nambucca areas, with a further 35 hectares of ground works conducted. 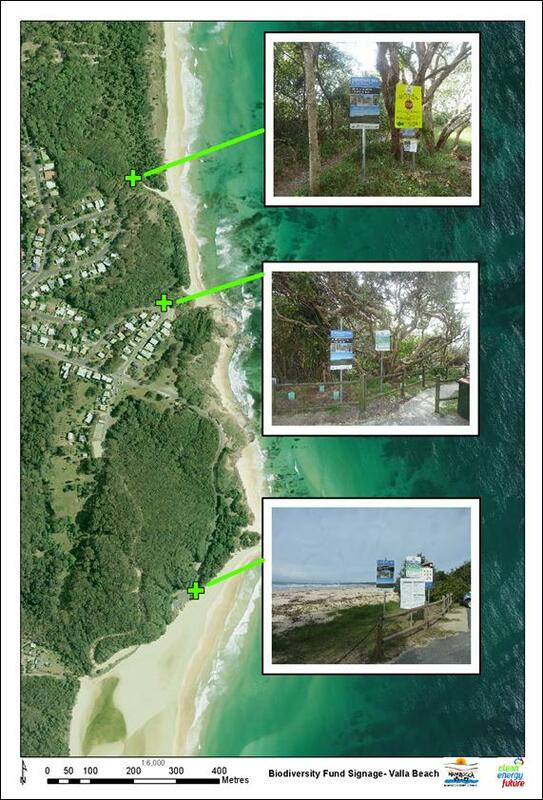 Six signs have been installed in strategic positions throughout the project work site to raise the public?s awareness of the Biodiversity fund project and the importance of the coastal ecosystems within the Nambucca Valley. The project is targeting various invasive plant species including Weeds of National Significance and other weed species. Species targeted include Lantana, Asparagus, Bitou Bush, Easter Senna, Broad Leaf Pepper Trees, Turkey Rhubarb, Climbing Groundsel, Broad Leaf Paspalum, Molasses Grass, Spiny Burr Grass and Glory Lily. Control methods are chosen depending on the biology and life stage of targeted weeds, topography and situation of the infestations, and surrounding vegetation type to prevent any off-target damage and limit any erosion post control. Natural regeneration of native species within treated areas has already been observed with many desirable species of provenance emerging within treated areas. AUTHOR/ENQUIRIES:??? Richard Spain, Manager Water and Sewerage ???????? 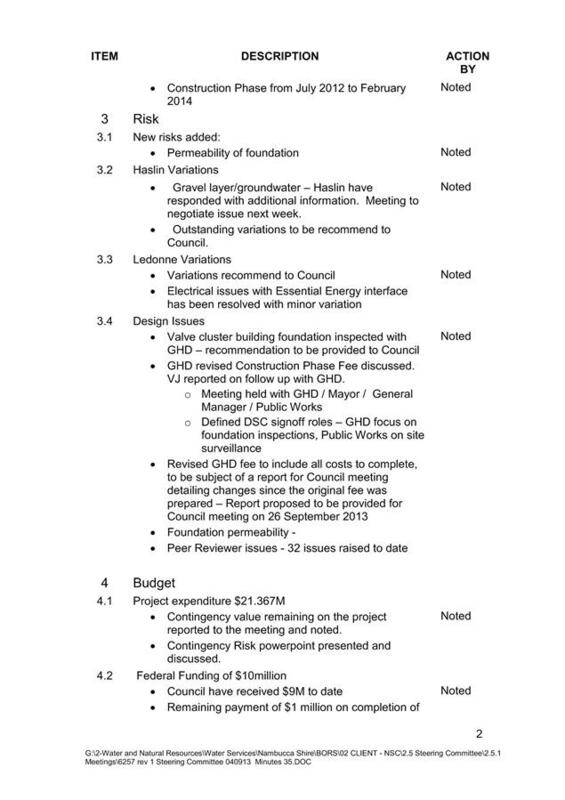 The minutes relating to the meeting held on 4 September 2013 are attached for Council?s information and adoption. A position paper was presented in relation to a seeking a relaxation of the extraction licence during the filling period and general agreement was reached that no further action would be taken regarding this matter as there appeared to be no benefit to Council. 1??????? 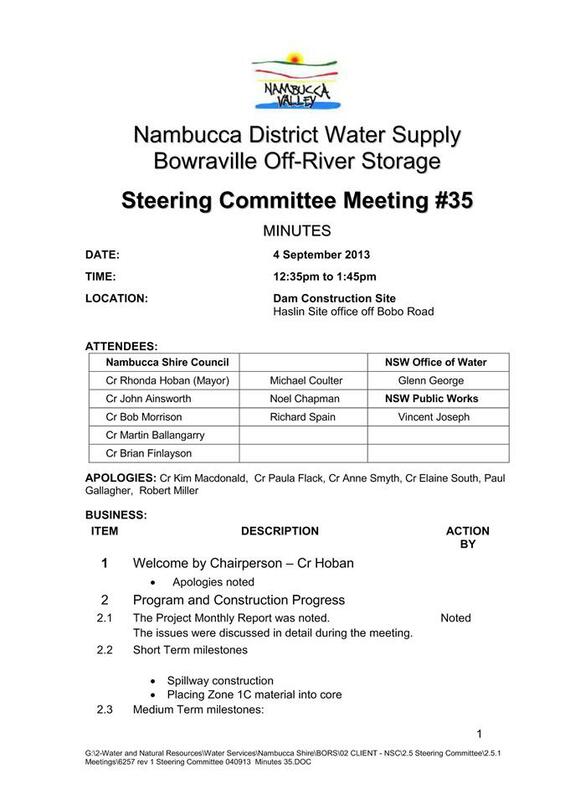 That Council adopt the minutes of the Water and Sewerage Steering Committee meeting held on 4 September 2013. 2??????? That Council take no further action in regard to the proposal to make a submission to the NSW Office of Water requesting a relaxation of the water extraction licence during the initial filling of the off river storage. 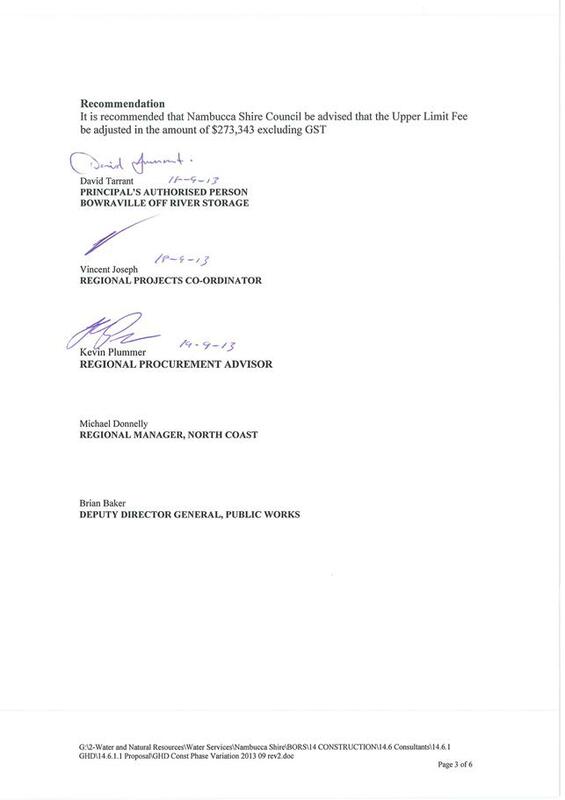 Contracts have been awarded and construction works have commenced on the Bowraville Off River Storage Project.? As this is a very significant project Council has resolved to hold monthly meetings of the WSSC at the site office of the Principal Dam Contractor with a view to keeping regularly informed of the progress, risks, variations and expenditure on the project. A presentation was provided on outstanding risks to the project and likely impacts on the project budget. A position paper was also provided for discussion on whether there was benefit to be gained from pursuing a relaxation of the extraction licence to permit capture of runoff water from the catchment during the filling period.? The paper concluded that it appeared that there was unlikely to be any financial benefit to justify Council making a submission to the Office of Water.? The environment impacts of the project are detailed in the Environmental Impact Statement (EIS) that was prepared by GHD.? The contractors are required to prepare and work to Environmental Management Plans that conform to the requirements of the EIS. This is a major project for the Shire and there are significant risks associated with construction contracts of this size.? An updated project risk register is kept by the Project Managers and the risks are discussed during the meetings. The Office of Water has confirmed a $14.8 million subsidy as part of the existing Country Towns Water Supply and Sewerage program.? $7.4 million of the funding has been claimed and paid to date. Council has also signed a Stage 2 funding deed for the remaining $9 M of a $10 M grant offered by the Federal Government.? $8 M of this Stage 2 funding has been claimed and paid to date with the remaining $1 M to be paid on completion of the works. 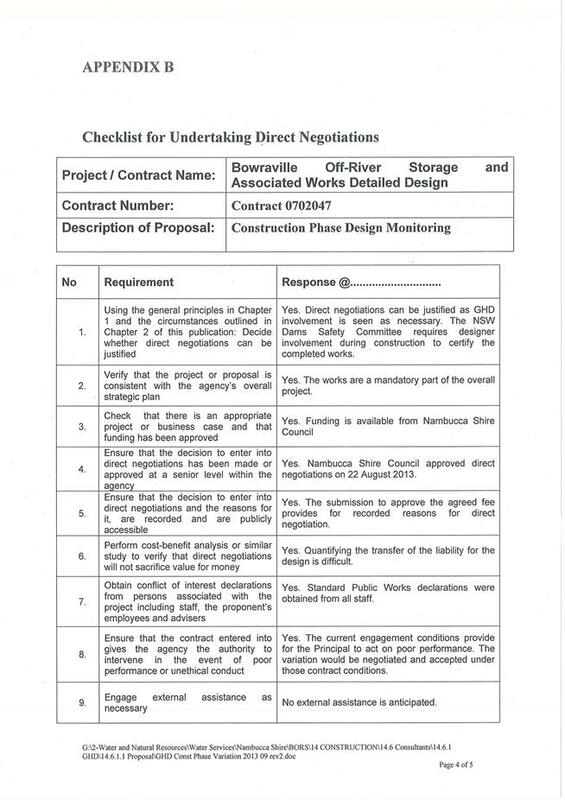 Council accepted a fee proposal from GHD to complete works expected to be required of them during the construction phase of the Bowraville Off River Storage project on 27 September 2012 (Resolution 3590/2012). GHD?s earlier engagement as Council?s design engineer effectively precluded any other option being taken as the role essentially involves evaluation of foundation conditions to confirm conformance to design assumptions, answering Requests For Information (RFI?s) relating to the design and consultation on any proposed or requested design changes that may arise. GHD?s original fee proposal was a time based fee calculated on estimates of the time it would take to complete tasks that were envisaged to be required during the construction period. There is a significant amount of time remaining for completion of the contract and it is apparent that payments to GHD will exceed the current fee proposal.? As a result Public Works instructed GHD to provide details of costs to date that are outside the original predicted scope of work as well as estimated cost to complete the engagement. When Council were advised of the likely fee increase and its initial estimate they expressed some dissatisfaction to Public Works and this was conveyed to GHD.? A meeting was then arranged with the Mayor GM and MWS and representatives from GHD and Public Works to clarify issues relating to the fee increase and the reasons for it. Public Works have prepared a separate report on the fee increase and it has been provided to Council for information as a separate document. The report recommends that ?Nambucca Shire Council be advised that the Upper Limit Fee be adjusted in the amount of $273,343 excluding GST? and this is the recommendation put to Council. 1??????? That Council approve the proposed variation of $273,343 excluding GST to the Upper Limit Fee for the construction phase monitoring provided by GHD. 2??????? That Council note that the total Upper limit Fee will be $917,841 excluding GST as a result of variations for essential works already approved. 3??????? That Council approve the additional costs be allocated from the existing contingency provision within the contract. 4??????? That Council also note that due to the nature of the works involved GHD may be entitled to payment for further variations due to a requirement for additional works that were unforeseen at the time this revised fee proposal was prepared and assessed. 1??????? Council accept the proposal as detailed by GHD and recommended by Public Works. 2??????? Council negotiate a different fee proposal with GHD. 3??????? Council not accept the variation with the resulting major risk to the project due to GHD?s role and responsibilities as the project designer. As previously mentioned the Mayor, General Manager and Manager Water and Sewerage met with representatives of GHD and Public Works on 22 August 2013 to discuss the proposed increase in the fee offer and the reasons for it in detail. It should be noted that the original fee proposal of $478,925 excluding GST was a time based fee calculated on the basis of the anticipated hours that would be expended on completing the tasks required of GHD during the construction period.? 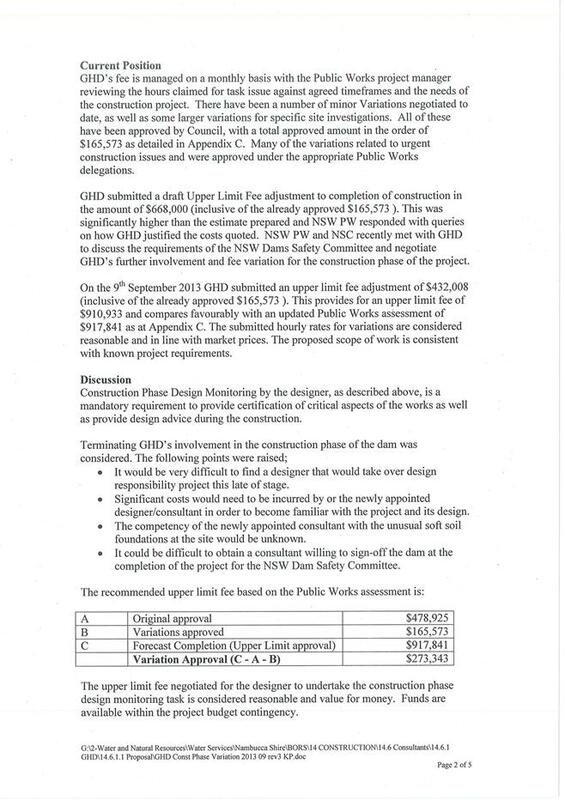 Secondly payments to GHD to date have only been made for actually hours spent on the project on work considered essential to allow GHD to sign off on a design report confirming that any design assumptions made with respect to ground conditions have been verified and that all design changes have been referred to them and where such changes have been made they have certified them as acceptable. The work also includes RFI?s seeking clarification on matters relating the design or construction methodologies.? Where the work is considered to result from an error or omission in the design, payment is not made. This assessment is made by Public Works acting in their capacity as Council?s Project Manager. Public Works have produced the attached report that clarifies the reasons for the higher than expected fees to date as well as the reasons for the increase in fees to complete the work.? The report provides details of what is considered to be an acceptable fee variation that is additional to variations approved to date. The total proposed fee for Council approval will be $917,841 excluding GST. Council should also note that due to the nature of the work there is a possibility of GHD being entitled to additional variations should they be required to complete additional works that were unforeseen at the time that they submitted the revised proposal for assessment by Public Works.? The foundation permeability issue is one such matter that is likely to require additional work. The fee variation will have no additional environmental impact. The fee variation will have no additional social impact. The fee variation will increase expenditure on the project and will have an economic impact in terms of Council?s budget.? Council?s loan commitments will increase and it may take longer to pay off any debt. GHD?s expertise is required to ensure that foundation conditions are assessed to be in accordance with design assumptions and to also ensure that any design changes required or requested are certified by them.? The Public Works report details the reasons for the fee variation and it would be argued that the additional involvement of GHD?s mitigates Council?s risk during the construction period.? It is a mandatory requirement imposed by the NSW Dam Safety Committee that the designer undertake monitoring during the construction phase. The fee variation will impact on future budgets however a contingency allowance means that the increased cost can be managed within the total project budget. At this stage sufficient funds for the Off River Storage have been allocated in the 2013/14 budget. There are no implications related to levels of service and staffing arrangements. AUTHOR/ENQUIRIES:??? Paul Gallagher, Assistant General Manager - Engineering Services; Noel Chapman, Manager Civil Works; Richard Spain, Manager Water and Sewerage; Keith Williams, Manager Technical Services; Peter Baynes, Manager Assets; Simon Chapman, Waste Management Officer ???????? This report provides Council with a quarterly report on the Capital Works Program for the period 1 April 2013 to 30 June 2013. 1??????? 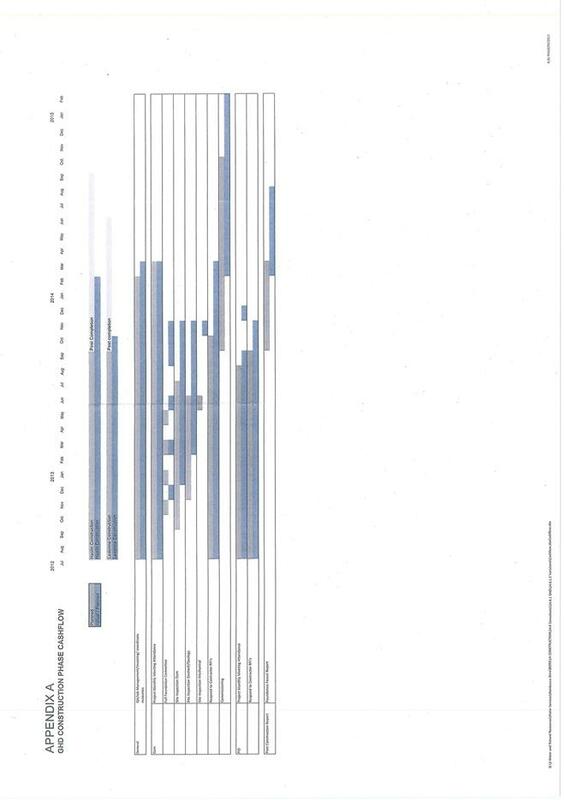 That the Capital Works Report for the period 1 April 2013 to 30 June 2013 be received and noted. 2??????? That the proposed variations and revotes be endorsed and included in the June 2013 budget review. The Capital Works report is presented for the period 1 April to 30 June 2013. The spreadsheet reflects the expenditure for capital works for the June Quarterly Budget Review (QBR).? As of this current review, the capital works program was substantially completed with the main exception being the replacement of Lavertys Bridge and the associated road works for the approaches which were further delayed due to the May Natural Disaster event. This period of reporting has experienced another Natural Disaster event that resulted in landslips on Lower Parkes Street, Shelley Beach Access Road and Upper Buckrabendinni Road. Approval to proceed with Geotechnical investigations is being sought from RMS however initial estimates total in excess of $1M. The majority of the Capital Works Program for 2012/13 has been completed. As reported to Council at the meeting on 24 April 2013 in the report on Capital Works for the period to 31 March 2013 Lavertys Bridge was a possible revote. Subsequent to this report, construction was further delayed due to the May 2013 Natural Disaster event, however construction did commence in June 2013. This delay has resulted in a proposed revote of $244,696 for the bridge (Item 9) and $134,870 for Taylors Arm Road (Item 25) being held over for the bridge approaches. The May Natural Disaster event also resulted in a delay in the reconstruction of Bank Street East, Nambucca Heads $40,126 (Item 35); ??? Park Street Bowraville $22,410 (Item 40); and Marsh Street Macksville $2,000 (Item 44) hence requiring revotes for these amounts. ??????????? Upper Warrell Creek Road Intersection $20,000 (Item 28) as the project is subject to private developer constraints and the need for survey and design. ??????????? Depot Shelving and Amenities $ 3,018 (Item 63) as works were completed but invoices not received prior to the end of year process. ??????????? 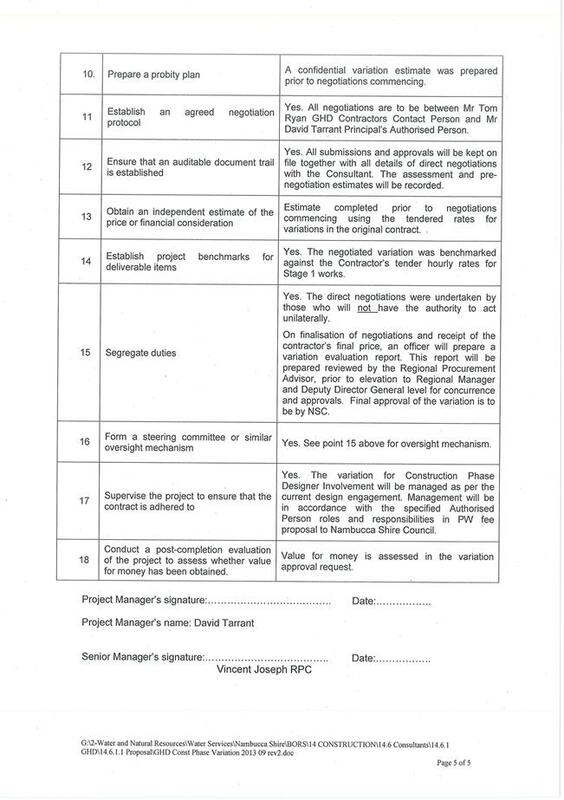 Construction of Weekes Bridge was deferred by Council in December 2012 and Millers and Kellys Bridges were substituted in the program (Items 11 and 12). The cost of constructing these bridges was less than the $325,000 allocated to Weekes Bridge.? Therefore a revote of $89,515 is proposed. Recent detailed design of Greens Bridge (in the 2013/14 budget) has indicated a shortfall in the original estimate for this bridge. The proposed revote would offset the shortfall in the 2013/14 budget with no adverse impact on working funds. The total proposed revote is $556,635. The total Capital Works Budget 2012/13 was $6,322,932. ??????????? Eungai Bridge (Item 8), saving $90,842 which was the result of a Council resolution 3719/12 on 12 December 2012 reducing the bridge from two to one lane. ??????????? 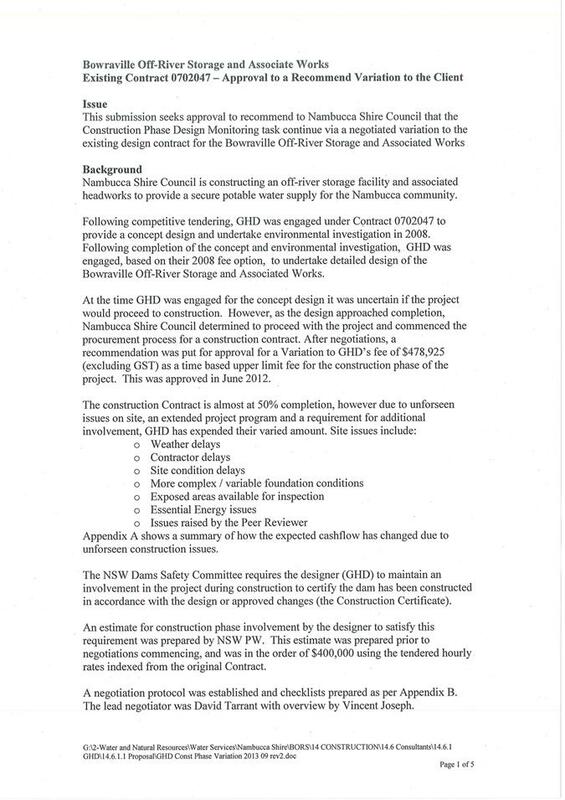 Valla Road Rehabilitation (Item 27) cost $9,939. ??????????? Talara Crescent Rehabilitation (Item 33) saving $8,579. ??????????? 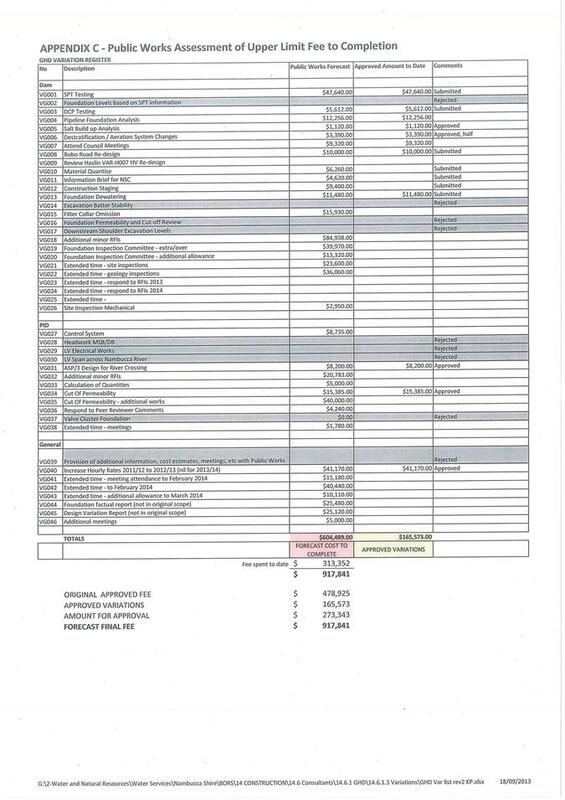 Ridge Street Rehabilitation (Item 36) cost $ $15,035. ??????????? Newry Street Rehabilitation (Item 38) saving $18,850. ??????????? The variations for rehabilitation works are generally due to the estimates being based on average measurements whereas accounts are based on actual work carried out. ??????????? Reseals (Item 49) cost $5, 487.? Road widths vary considerably and actual quantities are charged. ??????????? Urban Streets Heavy Patching (Item 51) cost $14,683.? Variations approved due to site conditions. ??????????? Showground Loop Road (Item 54) saving $22,207.? Balance of funds revoted from the previous year. Works completed for less than the original estimate. ??????????? Landslips (Items 60, 61 & 62) cost $13,119.? The contract encompassed three sites with different variations to each site resulting from individual site conditions. ??????????? Footpath Construction (Item 19) saving $19,356.? Resources were diverted to Natural Disaster works late in the financial year. ??????????? Buz Brazel Park Improvement (Item 57) saving $17,200. Funds revoted from the previous year but no projects requested by the ground committee. Carryover amount is to cover cost of Relocatable Traffic Barriers which were not delivered til late in the year. Payment was made in 2013/14 FY. Variance is due to compressor being obtained below budget estimate and minor plant purchases being expensed. Cost of new truck and fit-out higher than initial budget estimate. Purchase of one ride on mower deferred following review of mower's condition. There have been a number of cost variations in the operation and maintenance budget for both water supply and sewerage.? These have mainly been related to water supply reticulation maintenance, sewage treatment works operation and pump station and treatment works energy cost. The treatment works operation and maintenance overruns are associated with mechanical breakdowns at both the Macksville and Bowraville works.? A gear box failure on the decant weir at Macksville required an expensive replacement part to be imported as well a pump hire for a number of weeks and extra man hours to manually operate the plant.? An unplanned replacement of components of the effluent reuse system was required at Bowraville as a result of an increasing number of pump system failures. Discrepancies in the budgeted energy costs can be attributed to underestimates as well as anomalies in the billing system. For the most part adjustments can be made within the current budget allocations to ensure that the total water and sewerage budgets are not exceeded. Works on the dam component of the project are taking longer than expected and the contractor claims have been less than budgeted. ITEM 1 ? The installation of a new water main in Lower Lee Street was severely damaged by stormwater which washed out all pipe bedding and backfill from the trench.? Works had to be reinstated at significant cost. ITEM 2 ? Failure of a 200 kW motor on one of the high lift pumps necessitated an unplanned replacement. ITEM 3 ? Carry over on work order issued for Works to be completed by State Property Authority. Their assistance is likely to be required in the final negotiation of easements and land acquisitions from property owners affected by the work so the order remains open. ITEM 4 ? Works on Package A of the project have been slower than expected due to site conditions and wet weather earlier in the year. This has resulted in payment claims to the contractor being less than budgeted.? This has actually been of benefit to Council as Federal and State Government funds have been used to meet commitments and Council has not had to use borrowed funds. ITEM 5 ? The proposal to remove the tanks has been revisited and the scope of the work has been revised.? Only the buried set of tanks will be removed as they provide a safety risk. The concrete tank will remain as is.? Tanks will be taken off line as part of normal operation and the reticulation serving this area will be connected direct to the Scotts Head main. A pressure reduction valve will be used to control pressure in the area. ITEM 6 ? A decision was made to postpone this work until Package B works on the Off River Storage contract were completed. This was to avoid any potential risk of Council?s works causing a delay to the contract. ITEM 7 ? The pumps scheduled to be replaced were ordered and received.? However work crews have not had the time to complete the installation at Macksville Pump Station 4 due to other operational and maintenance commitments. ITEM 9 ? A concept design for the proposed constructed wetland has been completed and issued to the Office of Water for Section 60 approval.? The design and approval has taken a lot longer than expected and detailed design will not proceed until Section 60 approval is received.